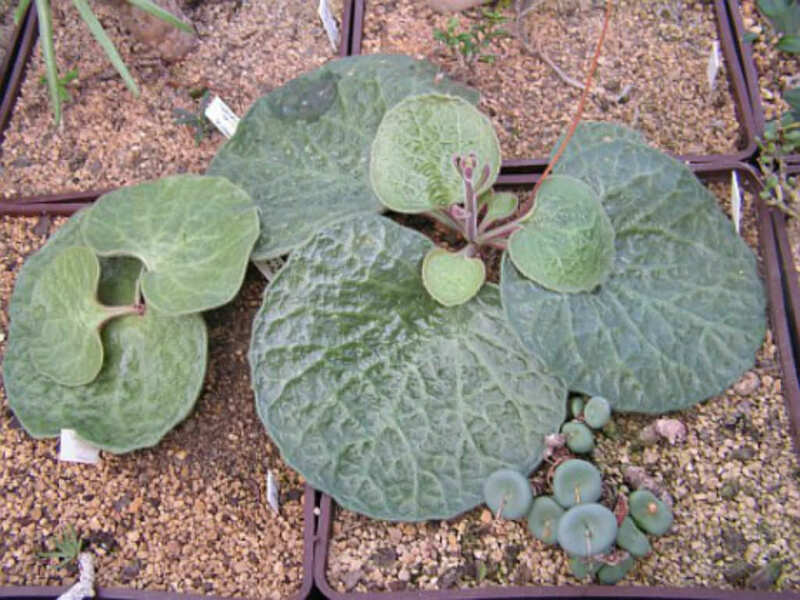 Tylecodon singularis is an unique and rare, succulent geophyte. 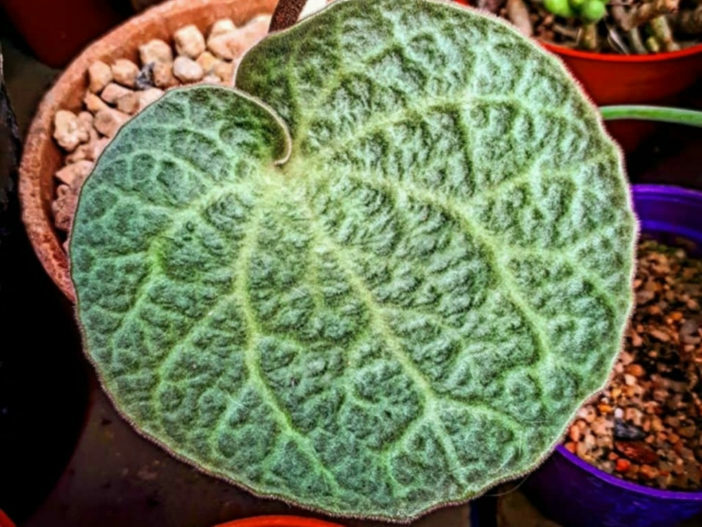 It is stemless, with tuberous roots, producing 1 or 2 massive, fleshy leaves, almost circular, up to 3.2 inches (8 cm) in diameter and withering before the flowers appear. 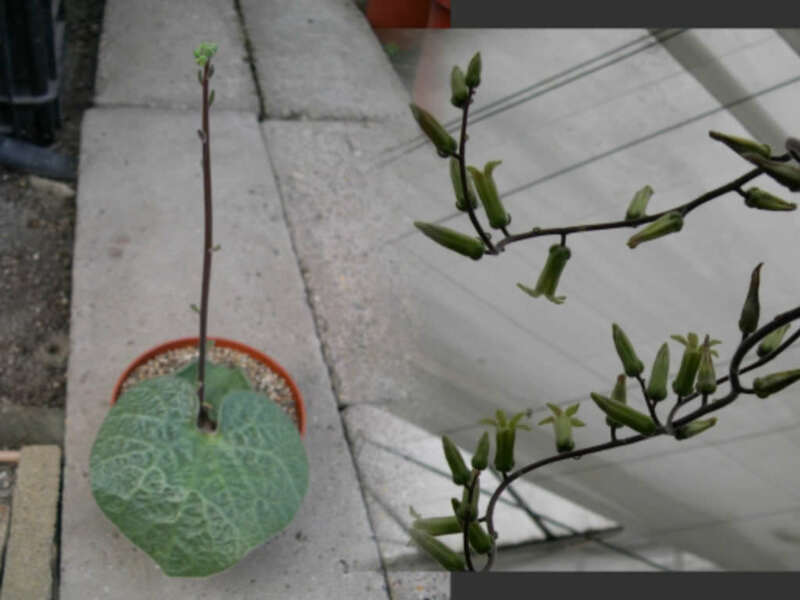 The plant is leafless over summer, just the tuberous root waiting for fall. The flowers are borne in an inflorescence up to 7.2 inches (18 cm) tall and appear in summer. The pale yellow corolla is tubular, with short hairs on the inside. Cotyledons can be divided into 2 groups. One group consists of evergreen plants with a summer growing period. 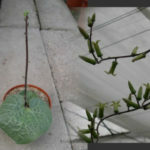 The other group is made up of deciduous plants, splendidly magnificent with large, solid fleshy stems. The second group grows during the winter and sheds its leaves during the summer. 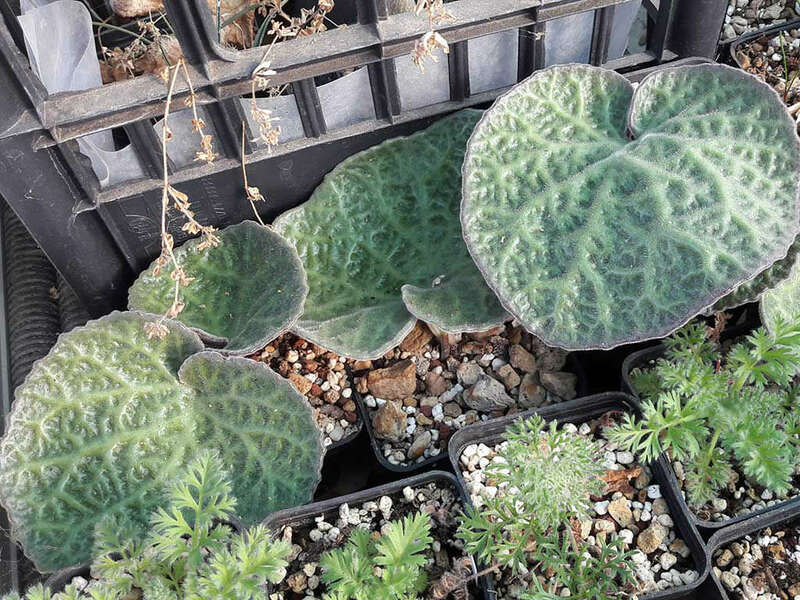 This succulents require a free-draining, gritty mix and plenty of sun. 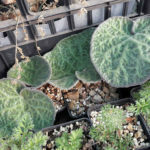 They are tolerant of cool, frost-free conditions during the winter if kept dry. Some require pruning to maintain an attractive shape. Cotyledons should be kept in a sunny position. Follow general succulent watering procedures. Be careful of over-watering when they are deciduous. 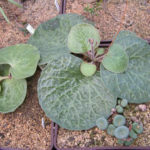 Tylecodon singularis is native to Namibia.